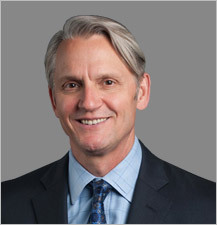 Under Dr. Swank's direction, the Cincinnati Orthopaedic Research Institute CORI conducts an average of 10 Clinical Trials each year, evaluating new medications, surgical techniques and implants to improve surgical patient care. The results of his research have been published and presented to many Medical Societies, and groups of peers. Dr. Swank is the author of Numerous Papers and Chapters in Orthopaedic Publications. Visit www.cincyresearch.org to find out more. Low Incidence of Post Operative Complications due to Pin Placement in Computer Navigated Total Knee Arthroplasty. R. F. Owens, M. L. Swank. Journal of Arthroplasty, 25(7): 1096-8. October, 2010. Dermabond Efficacy in Total Joint Arthroplasty Wounds. A. G. Miller, M. L. Swank. American Journal of Orthop., 39(10): 476-8. October, 2010. Unusual Presentation of Cobalt Hypersensitivity in a Patient with a Metal-on-Metal Bearing in Total Hip Arthroplasty. M. Alkire, V. Perumal, M. L. Swank. American Journal of Orthop. 39(5): E39-41. May, 2010. Novel Approaches to Imaging and Tracking of Hip Topology. Section VIII. Y. J. Kimand, A. J. Stubbs, M. L. Swank. Journal of Bone Joint Surg. AM. February, 2009. Technology and Cost Effectiveness in Knee Arthroplasty; Computer Navigation and Robotics. M. Alkire, M. Conditt, J. H. Lonner, M. L. Swank. American Journal of Orthop. February, 2009. Role of Navigation in Total Hip Arthroplasty. T. Kelley, M. L. Swank. Journal of Bone Joint Surg. AM. February, 2009. Minimally Invasive Hip Resurfacing Compared to Minimally Invasive Total Hip Arthroplasty. M. Alkire, M. L. Swank. Bull. NYU Hosp. Jt. Dis. January, 2009. Use of Inpatient Continuous Passive Motion vs. No CPM in Computer-Assisted Total Knee Arthroplasty. M. Alkire, M. L. Swank. Orthop. Nurs. 29(1):36-40. January, 2010. Computer-Assisted Surgery in Total Knee Arthroplasty: Experience with the Vector Vision ® and Ci ™ Navigation System for Mobile Bearing Total Knee Arthroplasty. T. Kelley, M. L. Swank. Techniques in Knee Surgery. 7(3): 144-152, September, 2008. Getting it Right with Navigation: Imageless Navigation in Hip Resurfacing. Avoiding Component Malposition during the Surgeon Learning Curve. J. Romanowski, M. L. Swank. Journal of Bone Joint Surg. AM., 90; 65-70, August, 2008. Ligament Balancing in Computer Assisted Total Knee Arthroplasty: Improved Clinical Results with a Spring Loaded Tensioning Device. S. Bignozzi, L. Korbee, J. Romanowski, M. L. Swank. Journal of Engineering in Medicine, 221(7): 755-762. October, 2007. Computer Navigation: Does it Make You a Better TKA Surgeon? M. I. O’Connor, W. J. Robb, J. B. Stiehl, M. L. Swank, R. L. Wixson. Jan/Feb 2007 AAOS Now February 9, 2007. Computer-Assisted Surgery in Total Knee Arthroplasty. L. Korbee, M. L. Swank. Techniques in Knee Surgery, 4: 228-237. December, 2006. Computer-Assisted Surgery-Orthopaedic Navigation in Total Joint Replacement. M. L. Swank. US Musculoskeletal Disease Vol. 1, 85-87. June, 2006. Ion Concentrations from Hip Implants. A. Sargeant, T. Goswami, M. L. Swank. Journal of Surgical Orthopaedic Adv., 15(2): 113-114. June, 2006. Computer-Assisted Surgery for Total Knee Arthroplasty and the Changing Role of Orthopedic Theatre Personnel. I. E. Lehner, M. L. Swank. AORN, 82(4): 631-643. October, 2005. Computer-Assisted Surgery in Total Knee Arthroplasty. M. L. Swank. Surgical Technology International. Vol. XII, Recent Advances 209-213. November, 2004. Health Related Quality of Life Using the SF-36 in Patients with Bipolar Disorder Compared to Patients with Chronic Back Pain and the General Population. L. M. Arnold, P. Keck, Jr., S. L. McElroy, M. L. Swank, K. A. Witzman. Journal of Affective Disorders, 5(1-3): 235-239. January, 2000. Rigid Internal Fixation with Lateral Mass Plates in Multilevel Anterior and Posterior Reconstruction of the Cervical Spine. C. Bossons, B. Dials, C. Sutterlin III, M. L. Swank. Spine, 22(3): 224-282. February, 1997. Anterior Cervical Allograft Arthrodesis and Instrumentation: Multilevel Interbody Grafting and Strut Graft Reconstruction. A. Allen, G. Lowery, R. McDonough, M. L. Swank. European Spine Journal. 6(2):138-143. January, 1997. Posterior Cervical Arthrodesis and Stabilization with a Lateral Mass Plate, Clinical and CT Evaluation of Lateral Mass, Screw Placement and Associated Complications. A. Graham, R. Kinard, G. Lowery, B. Dials, M. L. Swank. Spine, 21(3):323-328, Discussion 329. February, 1996. Surgical Revision for Failed Anterior Cervical Fusions: Articular Pillar Plating or Anterior Revision? G. Lowery, R. McDonough, M. L. Swank. Spine, 20(22):2436-2441. November, 1995. Walking Ability in Spina Bifida Patients: A Model for Predicting Future Ambulatory Status Based on Sitting Balance and Motor Level. L. Dias, M. L. Swank. Journal of Ped. Ortho. 14(6): 715-718. November, 1994. Unicompartmental Knee Arthroplasty: An Eight Year Follow Up Study with Survivorship Analysis. J. Jiganti, S. Machairas, S. D. Stulberg, M. L. Swank. Clin. Orth. Rel. Res., 286: 130-142. January, 1993. Myelomeningocele: A Review of the Orthopaedic Aspects of 206 Patients Treated from Birth with no Selection Criteria. L. Dias, M. L. Swank. Dev. Med. and Child Neur., 34: 1047-1052. December, 1992. Posterior Cruciate Ligament Sparing, Cruciate Substituting and Cruciate Sacrificing. M. L. Swank. Orthopaedic Proceedings, A764. 93-B: 439. November, 2011. Computer-Assisted Hip Resurfacing Arthroplasty: Surgeon Experience and Techniques. J. Choudhari, J. D. Kinkartz, M. L. Swank. Techniques in Orthopaedics. Volume 25-Issue 1, 50-55. March, 2010. Cost Effectiveness of Computer Navigation for Total Joint Arthroplasty in a Community Hospital. M. L. Swank. Orthopaedic Proceedings 92-B: 158. March, 2010. Computer-Assisted Surgery in Total Knee Arthroplasty: Experience with the VectorVision® and Ci™ Navigation System for Mobile Bearing TKA. Orthopaedic Proceedings 92-B: 126. March, 2010. Cost Effectiveness of Computer Navigation in Total Joint Arthroplasty in the Medicare Population. M. L. Swank. Orthopaedic Proceedings 92-B: 126. March, 2010. Intermediate Post Operative Outcomes in Computer Assisted Total Knee Arthroplasty: Evaluating 261 Initial Consecutive Cases. T. J. Madhav, S. L. Hiratzka, M. L. Swank. Orthopaedic Proceedings 92-B: 126. March, 2010. Imageless Navigation in Hip Resurfacing: The Impact of Surgical Volume on Computer-Assisted Component Placement. J. R. Romanowski, M. L. Swank. Orthopaedic Proceedings 91-B: 394. September, 2009. Novel Approaches to Imaging and Tracking of Hip Topology. A. J. Stubbs, Y. Kim, M. L. Swank. J. Bone Joint Surg. Am. (Supplement 1): 137. February 1, 2009. Role of Navigation in Total Hip Arthroplasty. T. C. Kelley, M. L. Swank. J Bone Joint Surg AM. 91 Suppl. 1:153-8. 2009. Imageless Navigation in Hip Resurfacing: Avoiding Component Malposition during the Surgeon Learning Curve. J. R. Romanowski, M. L. Swank. J. Bone Joint Surg. Am. (Supplement 3): 65-70. August 1, 2008. Computer Assisted Total Hip Replacement - Planning and Outcome. M. L. Swank. Orthopaedic Proceedings, 90-B: 185-186. March, 2008. Clinical Validation of a Novel Spring Loaded Tensioning Device and Computer-Assisted Navigation. S. Bignozzi, J. L. Briard, M. Marcacci, M. L. Swank. Orthopaedic Proceedings 90-B: 186. March, 2008. Computer-Assisted Surgery in Total Knee Arthroplasty: Experience with the VectorVision® and Ci™ Navigation System for Mobile Bearing TKA. T. C. Kelley, M. L. Swank. Techniques in Knee Surgery. 2008. Low Incidence of Post Operative Complications Due to Reference Array Pin Placement in Image Free Computer-Assisted Total Knee Replacement. M. L. Swank, L. Korbee, R. F. Owens. Computer-Assisted Orthopaedic Surgery, 6th Annual Meeting of CAOS, International Proceedings. Langlotz, Davies, Bauer, Editors, Steinkopf Darmstadt. June 2006. Computer-Assisted Orthopaedic Surgery With Ligament Balancing Technique Using An Internal Tensionometer Lowers Manipulation Rate In Total Knee Replacement. M. L. Swank, L. Korbee. Computer-Assisted Orthopaedic Surgery, 6th Annual Meeting of CAOS, International Proceedings. Langlotz, Davies, Bauer, Editors, Steinkopf Darmstadt. June, 2006. Imageless Navigation in Minimally Invasive Total Hip Replacement with a Posterior Approach: Excellent Clinical Results and Radiographic Alignment. M. L. Swank. Computer-Assisted Orthopaedic Surgery, 5th Annual Meeting of CAOS, International Proceedings. Langlotz, Davies, Bauer, Editors, Steinkopf Darmstadt. June, 2005. CAS Enabled Minimally Invasive TKA: Better Clinical Results and Better Mechanical Alignment than Mechanical Instruments. M. L. Swank. Computer-Assisted Orthopaedic Surgery, 5th Annual Meeting of CAOS, International Proceedings. Langlotz, Davies, Bauer, Editors, Steinkopf Darmstadt. June, 2005. Computer-Assisted Total Hip Replacement - Planning and Outcome. M. L. Swank. Computer Assisted Orthopaedic Surgery, 4th Annual Meeting of CAOS, International Proceedings. Langlotz, Davies, Bauer, Editors, Steinkopf Darmstadt. June, 2004. Clinical Validation of a Novel Spring Loaded Tensioning Device and Computer-Assisted Navigation. S. Bignozzi, J. L. Briard, M. Marcacci, M. L. Swank. Computer-Assisted Orthopaedic Surgery, 4th Annual Meeting of CAOS, International Proceedings. Langlotz, Davies, Bauer, Editors, Steinkopf Darmstadt. June, 2004. CT Based Image Guided Surgery vs. Conventional Intramedullary Instrumentation in Total Knee Arthroplasty. M. L. Swank. Computer-Assisted Orthopaedic Surgery, 3rd Annual Meeting of CAOS, International Proceedings. Langlotz, Davies, Bauer, Editors, Steinkopf, Darmstadt. June, 2003. Titanium Mesh in Cervical Spine Reconstruction: The North American Experience. G. Lowery, M. L. Swank, R. McDonough. Orthopaedic Transactions, 1997: 21:3. Salvage Reconstruction of Failed Anterior Cervical Surgeries. M. L. Swank, G. Lowery, J. Vega, R. McDonough, A. Allen. Orthopaedic Transactions, 19:3. 1995. Polyethylene Failure in Metal Backed Unicompartmental Tibial Components. M. L. Swank, N. Park, G. Engh. Orthopaedic Transactions, 19:3.1995. Hip Arthroplasty in the Young Patient: Social and Economic Impact. M. L. Swank, G. Macalino. Orthopaedic Transactions, 18:3. 1994. Medial Compartment Unicompartmental Knee Arthroplasty: A Clinical and Radiographic Outcome Study with Cost Analysis. M. L. Swank, G. Engh, N. Parks. Orthopaedic Transactions, 18:3. 1994. Structural Autogenous Bone Grafting of Tibial Defects in Primary Total Knee Arthroplasty. M. L. Swank, G. Engh, N. Parks. Orthopaedic Transactions, 18:3. 1994. The Natural History of Unicompartmental Arthroplasty: An Eight-Year Follow-Up Study with Survivorship Analysis. M. L. Swank, S.D. Stulberg, J. Jiganti, S. Machairas. Orthopaedic Transactions, 16:3. 1993. The Natural History of the Spina Bifida Child: the First Ten Years. M. L. Swank, B. Dials. Orthopaedic Transactions, 13:3. 1989. A Multicenter, Multinational, Randomized Double-Blind Comparison of Subcutaneous ORG31540/SR90107A with Enoxaparin in the Prevention of Deep Vein Thrombosis and Symptomatic Pulmonary Embolism after Elective Major Knee Surgery or a Revision. Phase III, FDA Clinical Trial. The Chiropractic Treatment of MRI/CT Proven Lumbar Disc Herniation. M. L. Swank, J. Grote, D. Rottinghaus. The Diagnostic Value of Hoffmann’s Sign in Predicting Cervical Spine Pathology and Impending Cervical Myelopathy. M. L. Swank. A Two-Year, Multi-Center, Prospective, Randomized Study of Pedicle Screw Fixation. C.E. Sutterlin, III, S.P. Barrett, R.J. Wisnewski, C.A. Dickman, F.T. Wetzel, C.B. Michelson, G.G. Field, P.C. McAfee, M. L. Swank, M. Reed. Autogenous Bone Grafting of Uncontained Tibial Defects in Primary Total Knee Arthroplasty: A Four to Six Year Follow-Up Report. M. L. Swank, N. Parks, G. Engh. Outcome Analysis in Hip Replacement Surgery. M. L. Swank, G. Macalino, C. Engh. Medial Compartment Unicompartmental Knee Arthroplasty: A Clinical and Radiographic Outcome Study with Cost Analysis. M. L. Swank, N. Parks, G. Engh. The Economic Impact of Total Hip Arthroplasty in Working Age Patients. M. L. Swank, C. Engh, G. Macalino, J. Leonard. Osteolysis Causing Late Loosening of a Cementless Acetabular Component in Total Hip Arthroplasty: A Case Report. M. L. Swank, C. Engh. A Feasibility, Prospective, Randomized, Controlled, Single-Blind Study Comparing Blood Loss Associated with Primary Total Hip Arthroplasty Using Harmonic™ Technology (HK 105) vs. Electrosurgery. (JHK 09-08), 2008-2009. The Efficacy of the Knee Mobilization Device in Post Operative Total Knee Arthroplasty Rehabilitation. (JH-08-07), 2008-2009. Factor Xa Inhibitor Study Phase II for Portola Pharmaceuticals. 2006. CAS Positive Financial Impact Study (JH 05-05), 2005-2009. Comparison of the Safety and Efficacy of Patient Controlled Analgesia Delivered by Fentanyl HCI Transdermal System vs. Morphine IV Pump for Pain Management after Primary Unilateral Total Hip (JH-04-04), 2004-2009. Clinical Evaluation of a Minimally Invasive Approach to Total Hip Replacement Surgery (MIS Hip) (JH 03-04), 2003-2009. DePuy Orthopedics Protocol. “Computer-Assisted Surgery Sensor Tensor Surgical Technique.” 2003. Clinical Evaluation of an Image Guided Approach to Minimally Invasive Total Hip Replacement Surgery (IGS-MIS Hip). 2003. A Multicenter Randomized Double Blind Placebo and Active Controlled Comparison of the Safety and Efficacy of Dirame (Propiram Fumarate 50 mg, 100 mg, and 150 mg), Oxycodone (5 mg), and Placebo in the Treatment of Moderate to Severe Pain After Total Hip Replacement Surgery. Phase III, FDA Clinical Trial. 2002. A Multicenter Study to Evaluate the Safety and Efficacy of DePuy AcroMed Titanium Surgical Mesh and MOSS-Miami Spinal Fixation System Pedicle Screws for Intradiscal Fusion in the Lumbar Spine. FDA Investigational Device Exemption Clinical Trial. 2002. A Randomized Multicenter Study to Evaluate the Safety and Efficacy of the Cervical I/F Cage for Anterior Cervical Fusion (JH 01-05). 2001- 2006. Capture Ware 2000 National Database for Orthopaedic Outcomes. 2001-Current. Study of the Genesis II Mobile Bearing Knee System (JH-03-01). 2001-2009. The Clinical and Cost Effectiveness of Four Different Treatment Methods for Preventing Epidural Scar Formation After Unilateral Lumbar Discectomy: A Prospective Clinical and MRI Evaluation. 2000-2001. Evaluation of the Metal Articulation with Ultima M.O.M. Total Hip System-Cemented. FDA, Investigational Device Exemption Clinical Trial. 1999-2002. Clinical Evaluation of Peri-operative Hemoglobin and the Relationship to Postoperative Vigor in Patients Undergoing Total Joint Arthroplasty. Phase IV, FDA Clinical Trial. 1999-2000. Cost-Effectiveness of a Peri-operative Transfusion System in Patients Undergoing Elective Hip and Knee Replacement Surgery as an Alternative to Autologous Blood Donation. 1999. A Randomized, Double Blind, Active-Controlled (Enoxaparin) Parallel Group Dose-Response Study of DPC 906 for the Prevention of Deep Vein Thrombosis in Knee Replacement Surgery. Phase II, FDA Clinical Trial. 1999. The Accuracy of Placement of Lumbar Pedicle Screws Placed by Conventional Fluoroscopic Technique Compared to Screws Placed With An Intra-operative, Computer Guided Tracking System (OTS): A Prospective, Case Controlled Study Using CT Imaging. 1997-1998. JH 01-25 Clinical Evaluation of the VectorVision Navigation System (BrainLAB Knee and Hip Project) 2003-2002. A Multicenter, Randomized, Double Blind, Placebo-and Active-Controlled Comparison of the Safety and Efficacy of Dirame® (Propiram Fumarate 50 mg, 100 mg, and 150 mg), Oxycodone (5 mg), and Placebo in the Treatment of Moderate to Severe Pain After Total Hip Replacement Surgery. Phase III FDA Clinical Trial. 2002-2001. A Multicenter, Multinational, Randomized, Double-Blind, Comparison of Subcutaneous ORG31540/SR90107A with Enoxaparin in the Prevention of Deep Vein Thrombosis and Symptomatic Pulmonary Embolism after Elective Major Knee Surgery or a Revision. Phase III, FDA Clinical Trial. A Multi-center Study to Evaluate the Safety and Efficacy of DePuy AcroMed Titanium Surgical Mesh and MOSS-Miami Spinal Fixation System Pedicle Screws for Intradiscal Fusion in the Lumbar Spine. FDA Investigational Device Exemption Clinical Trial. 2002. The Clinical and Cost Effectiveness of Four Different Treatment Methods for Preventing Epidural Scar Formation After Unilateral Lumbar Diskectomy: A Prospective Clinical and MRI Evaluation. 2001-2000. Clinical Evaluation of Perioperative Hemoglobin and the Relationship to Postoperative Vigor in Patients Undergoing Total Joint Arthroplasty. Phase IV, FDA Clinical Trial. 2000-1999. A Randomized, Double Blind, Active-Controlled (Enoxaparin), Parallel Group, Dose Response Study Of DPC 906 For The Prevention Of Deep Vein Thrombosis In Knee Replacement Surgery. Phase II, FDA Clinical Trial. 1999. The Accuracy Of Placement Of Lumbar Pedicle Screws Placed By Conventional Fluoroscopic Technique Compared To Screws Placed With An Intraoperative, Computer- Guided Tracking System (OTS): A Prospective, Case Controlled Study Using CT Imaging. 1998-1997. A Two-Year, Multi-Center, Prospective, Randomized Study of Pedicle Screw Fixation. CE Sutterlin, III MD; SP Barrett, MD; RJ Wisnewski, MD; CA Dickman, MD; FT Wetzel, MD; CB Michelson, MD; GG Field, MD; PC McAfee, MD; ML Swank, MD; M Reed, MD. “JH 06-09 CPM VS. No CPM in Total Knee Replacement: Use of Inpatient Continuous Passive Motion (CPM) vs. no CPM in Computer Assisted Total Knee Arthroplasty (TKA).” 2008. “Characteristics of Titanium Surgical Mesh: A Study of Bio Ingrowth Following Repair of Corpectomy Defects.” Medtronic Sofamor Danek. M. L. Swank, 2003. “The Incidence of Hip Fractures in Patients Admitted to Nursing Homes: The Relationship Between Date of Admission to the Nursing Home and Onset of Subsequent Fracture.” The Jewish Hospital Research Council, 2000. “The Clinical and Cost Effectiveness of Four Different Treatment Methods for Preventing Epidural Scar Formation After Unilateral Lumbar Discectomy: A Prospective Clinical and MRI Evaluation.” M. L. Swank. Bethesda Foundations and Gliatech, Inc. 1999. “The Cost Effectiveness of a Perioperative Transfusion System in Patients Undergoing Elective Hip and Knee Replacement Surgery as an Alternative to Autologous Blood Donation.” Jewish Hospital Research Council, 1998. “The Diagnostic Value of Hoffmann’s Sign in Predicting Cervical Spine Pathology and Impending Cervical Myelopathy.” Jewish Hospital Research Council, 1997. “The Chiropractic Treatment of MRI/CT-Proven Lumbar Disc Herniation.” Jewish Hospital Research Council, 1997. “The Accuracy of Placement of Lumbar Pedicle Screws by Conventional Fluoroscopic Technique Compared to a Computer-Guided Tracking System: A Prospective Study Using CT Imaging.” Bethesda Foundation, 1997. “The Cost Effectiveness and Outcome Analysis of Prospective Total Joint Replacement Program Instituted with the Cooperation of the Hospital and Joint Replacement Physicians in a Multi-Disciplinary Treatment Protocol.” Jewish Hospital Research Council, 1996. Computer-Assisted Surgery vs. Custom Cutting Guides for Component Alignment in Total Knee Arthroplasty. M. Lembach, M. L. Swank. 12th Annual Meeting of CAOS International in South Korea. June 13-16, 2012. Can Transverse Acetabular Ligament be used for Optimal Cup Placement using Imageless Navigation in Total Hip Arthroplasty? V. Perumal, M. L. Swank. 10th Annual Meeting of CAOS International in Paris, France. June 16- 19, 2010. Assess the Reliability of a Distal Pinless Array System to Determine Limb Length during Total Hip Arthroplasty using Computer-Assisted Navigation. V. Perumal, M. L. Swank. 10th Annual Meeting of CAOS International in Paris, France. June 16-19, 2010. Posterior Cruciate Ligament Sparing, Cruciate Substituting, Cruciate Sacrificing and Bicruciate Implants in Computer Navigated Knees: Does Technique or Implant Design Determine Patient Outcome? M. Alkire, M. L. Swank. 9th Annual Meeting of CAOS International in Boston, Massachusetts. June 17-20, 2009. Computer-Assisted Surgery in Total Knee Arthroplasty. T. C. Kelley, M. L. Swank. Mid-America Orthopaedic Association, 2009 Annual Meeting. April 23, 2009. Computer-Assisted Surgery in Total Knee Arthroplasty: Experience with the VectorVision® and Ci™ Navigation System for Mobile Bearing TKA. T. C. Kelley, M. L. Swank. ISTA 2008 Meeting, Seoul, South Korea. October 1-4, 2008. Computer-Assisted Surgery in Total Knee Arthroplasty. T. C. Kelley, M. L. Swank. D.J. Frank Senior Thesis Day. University of Cincinnati, Cincinnati, Ohio. May 10, 2008. Imageless Navigation in Hip Resurfacing: Avoiding Component Malposition during the Surgeon Learning Curve. J. R. Romanowski, M. L. Swank. 2008. Pinless Array Fixation in Determining Leg Length in Imageless Navigation. V. Perumal, M. L. Swank. 2008. “The Promises and Challenges of Computer-Assisted Surgery.” Minimally Invasive Hip Arthroplasty Techniques Orthopaedic Learning Center (OLC). Rosemont, Illinois. February 2, 2004. “The Whys and How’s of Image Based Navigation.” Instructional Course, American Academy of Orthopaedics. 2004 Annual Meeting, San Francisco, California. March 12, 2004. “Image Based vs. Image Free Navigation in THR and TKR Surgery: Pros and Cons.” Instructional Course, American Academy of Orthopaedics 2004 Annual Meeting, San Francisco, California. March 12, 2004. “Clinical Results of DePuy LCS Knees Navigated with CAS.” Innovations in CAS. Frankfurt, Germany. April 1, 2004. “CT vs. CT Free CAOS for TKR/THR” and “CAOS/MI Hip Video Vignettes.” MIS Meets CAOS, Pittsburgh, Pennsylvania. April 16, 2004. “Intra-operative Navigation in THA.” Update in Hip Surgery, Seoul, Korea. June 5, 2005. “Lumbar Fusion is Inadequate For The Treatment of Recurrent Lumbar Disc Herniation: New Alternatives Need To Be Found.” The 7th International ARGOS Symposium, January 30-31, 2003. Paris, France. “Physical Therapy after Instrumented Lumbar Fusion Surgery: One Visit vs. Eight Visit Protocol.” The 70th Annual AAOS Meeting, February 4-9, 2003. New Orleans, Louisiana. “The Promises and Challenges of Computer-Assisted Surgery.” The Presbyterian Institute for Minimally Invasive Technology. February 20-21, 2003. Dallas, Texas. “Minimal Access Spinal Technologies.” A Laboratory Course at The Medtronic Satellite Training Center. March 27-28, 2003. Cleveland, Ohio. “Image Guided Surgery.” The Masters Series Revision Course, Orthopaedic Learning. April 13-14, 2003. Chicago, Illinois. “Fundamental Principles and Techniques in Spinal Surgery.” Medical Education and Research Institute. May 8-10, 2003. Memphis, Tennessee. “The Promises and Challenges of Computer Assisted Surgery.” Grand Rounds at The University of Chicago Pritzker School of Medicine. May 21, 2003. Chicago, Illinois. “CT Based Navigation for Knees and MIS Hips.” The MIS Meets CAOS Symposium. May 30-June 1, 2003. Pittsburgh, Pennsylvania. Participant: “MITKR Meeting,” Orthopaedic Learning Center. June 3-4, 2003. Chicago, Illinois. “CT Based Image Guided Surgery vs. Conventional Intramedullary Instrumentation in Total Knee Arthroplasty.” The 3rd Annual Meeting of The International Society of Computer Assisted Orthopaedic Surgery. June 18-21, 2003. Marbella, Spain. “Titanium Surgical Mesh and Local Bone Graft Eliminates the Need for Iliac Crest Autograft or Allograft in Anterior /Posterior Cervical Reconstructions.” The 10th International Meeting on Advanced Spine Techniques (IMAST). July 10-12, 2003. Rome, Italy. “Equation System Focus Group - Philosophical Indications.” Equation Focus Group Meeting. July 18, 2003. Chicago, Illinois. “2003 Minimally Invasive Hip Arthroplasty Techniques”, Presbyterian Institute for Minimally Invasive Technology. July 31-August 1, 2003. Dallas, Texas. ”Basics of Computer-Assisted Navigation for Hip and Knee Replacements” and “CT Based Image Guided Surgery vs. Conventional Instrumentation in Total Knee Arthroplasty”. Engh Society Reunion. September 4-5, 2003. Alexandria, Virginia. “The Promises and Challenges of Computer-Assisted Surgery.” September 11-12 2003. Norfolk, Virginia. “The Promises and Challenges of Computer-Assisted Surgery.” Orthopaedic Learning Center, Minimally Invasive Hip Replacement Course. September 14-15, 2003. Chicago, Illinois. “The Promises and Challenges of Computer-Assisted Surgery” and “Polyethylene Wear of Mobile Bearing Knees.” Oktoberfest Orthopaedic Meeting. September 19, 2003. Cincinnati, Ohio. “CT Based Image Guided Surgery vs. Conventional Intramedullary Instrumentation in Total Knee Arthroplasty: Alignment Study and Clinical Outcome Study” and “CT Based vs. CT Free Total Knee Arthroplasty: Early Experience.” ISTA, September 24-27, 2003. San Francisco, California. “CAS-TKR Navigation.” CI™ Asia-Pacific Launch. October 9-12, 2003. Adelaide, Australia. “CT Based Navigation for Knees and MIS Hips.” MIS Meets CAOS Fall Symposium. October 16-18, 2003. Pittsburgh, Pennsylvania. “MAST Instrumentation Satellite Lab.” Medtronic Sofamor Danek. November 4, 2003. Detroit, Michigan. “Fundamental Principles and Techniques in Spinal Surgery.” Sponsored by Medtronic Sofamor Danek. January 3-5, 2002. Memphis, Tennessee. “Contemporary Techniques & Issues in Orthopaedics.” Sponsored by DePuy. March 6-10, 2005. Whistler, British Columbia. “Image Guided Surgery for Total Joint Replacement.” Sponsored by DePuy. May 6, 2002. Winston-Salem, North Carolina. “Early Experience With a CT Based Image Guided System for Total Knee Arthroplasty.” CAOS Meeting. June 19-23, 2002. Santa Fe, New Mexico. “The Promises and Challenges of Computer-Assisted Surgery.” DePuy VIP Course. June 21, 2002. Whistler, Alberta Canada. Micro TLIF Surgeon Visitation Program and Research Opportunities, DePuy AcroMed. August 16, 2002. Raynham, Massachusetts. “Advanced Course in Anterior Spinal Instrumentation: Open and Minimally Invasive Techniques.” Sponsored by DePuy AcroMed. August 23-25, 2002. San Diego, California. “Image Guided Total Joint Arthroplasty.” The Engh Society. September 14-15, 2002. Alexandria, Virginia. “Adjacent Segment Failure.” The Scoliosis Research Society. September 19-22, 2002, Seattle, Washington. “Current Use of Intra-operative Navigation.” The Harvard Hip and Knee Course. October 1-6, 2002. Boston, Massachusetts. “Adjacent Segment Failure.” The North American Spine Society. October 30-November 2, 2002. Montreal, Canada. “The Future of Technology.” The New Jersey Orthopaedic Society. November 8, 2002. Galloway, New Jersey. “The Future of Technology,” for DePuy. November 14, 2002. Dallas, Texas. “Computer Aided Surgery Evaluators Meeting.” Sponsored by DePuy. November 19-24, 2002. Paris, France. “Multilevel Decompression And Reconstruction Of The Cervical Spine: A Review Of The Clinical Efficacy and Complications Of 50 Consecutive Cases Treated With Anterior And Posterior Internal Fixation.” 29th Annual Meeting Cervical Spine Research Society. December, 2001. Monterey, California. 16th Annual Meeting North American Spine Society. Seattle, Washington. November, 2001. “Post Operative Transfusion Requirements in Primary Hip and Knee Arthroplasty: A Prospective Assessment of a Novel Perioperative Salvage System (Orthopat, ™) and Post Operative Transfusion Requirements in Primary Hip Arthroplasty: A Prospective Assessment of Autologous Blood Donation vs. a Novel Perioperative Salvage System.” Orthopat Mid-America Orthopaedic Association 2001 Annual Meeting. Amelia Island, Florida. April, 2001. “Prospective Evaluation of an Intra-operative Computer Enhanced System for Placement of Vertebral Body Screws into the Spine with the Aid of a Computer Assisted Device.” Third Annual North American Program on Computer Assisted Orthopaedic Surgery. Pittsburgh, Pennsylvania. June, 1999. “Anterior Cervical Allograft Arthrodesis and Instrumentation: Multilevel Inter-body Grafting and Strut Graft Reconstruction.” G. Lowery, M. L. Swank, R. McDonough, A. Allen. 64th Annual AAOS, San Francisco, California. February, 1997. 10th Annual North American Spine Society, Washington, D.C. October, 1995. “Salvage Reconstruction for Failed Anterior Cervical Fusion: Articular Pillar Plating or Anterior Revision?” M. L. Swank, G. Lowery, J. Vega, R. McDonough, A. Allen. 10th Annual North American Spine Society, Washington, D.C. October, 1995. “Anterior Cervical Inter-body Fusion: Locked vs. Non-Locked Plating Systems.” G. Lowery, M. L. Swank, R. McDonough, A. Allen. 10th Annual North American Spine Society. October, 1995. Washington, D.C.
“Salvage Reconstruction of Failed Anterior Cervical Surgeries by Posterior Procedures.” M. L. Swank, G. Lowery, J. Vega, R. McDonough, A. Allen. 62nd Annual AAOS, February, 1995. Orlando, Florida. Cervical Spine Research Society 22nd Annual Meeting. December, 1994. Baltimore, Maryland. “Hip Arthroplasty in the Young Patient: Social and Economic Impact.” M. L. Swank, G. Macalino. 61st Annual AAOS, February, 1994. New Orleans, Louisiana. “The Natural History of Unicompartmental Arthroplasty: An Eight-Year Follow-Up Study with Survivorship Analysis.” M. L. Swank, S.D. Stulberg, J. Jiganti, S. Machairas. 59th Annual AAOS, February, 1992. Washington, D.C.
7th Open Scientific Meeting of The Knee Society. February, 1992. Washington, D.C.
“The Natural History of the Spina Bifida Child: The First Ten Years.” M. L. Swank, L. Dias. 56th Annual AAOS, February, 1989. Las Vegas, Nevada. American Academy for Cerebral Palsy and Developmental Medicine, September, 1987. Boston, Massachusetts. “Prospective Evaluation of an Intra-operative Computer Enhanced System for Placement of Vertebral Body Screws into the Spine with the Aid of a Computer-Assisted Device.” M. L. Swank, C. Willison, P.R. Schwetschenau. Mid-America Orthopaedic Association 2001 Annual Meeting, Amelia Island, Florida. April, 2001. A Two-Year Prospective, Randomized Study of Pedicle Screw Fixation.” C Sutterlin, R. Wisneski, F.T. Wetzel, C. Michelsen, C. Dickman, P. Barrett, E. Field, M. L. Swank, M. Reed, P. McAfee. 15th Annual Meeting, Section on Disorders of the Spine and Peripheral Nerves of the American Association of Neurological Surgeons and Congress of Neurological Surgeons. Lake Buena Vista, Florida. February 10-13, 1999. “Titanium Mesh in Cervical Spine Reconstruction: The North American Experience.” G. Lowery, M. L. Swank, R. McDonough. “Polyethylene Failure in Metal-Backed Unicompartmental Tibial Components.” M. L. Swank, G. Engh, N. Parks. “Anterior Cervical Osteosynthesis with the Divergent ORION Fixation System: Early Results.” G. Lowery, M. L. Swank, R. McDonough. “Posterior Cervical Arthrodesis with Lateral Mass Plating for Multilevel Cervical Disease.” M. L. Swank, B. Dials, C. Sutterlin, III. Southern Medical Association. Orlando, Florida. November, 1994. Third International Congress on Spinal Surgery. Antalya, Turkey. October, 1994. “Posterior Cervical Arthrodesis and Stabilization with a Lateral Mass Plate, Clinical and CT Evaluation of Lateral Mass, Screw Placement and Associated Complications.” A. Graham, M. L. Swank, C. Sutterlin III, R. Kinard, G. Lowery. “Medial Compartment Unicompartmental Knee Arthroplasty: A Clinical and Radiographic Outcome Study with Cost Analysis.” M. L. Swank, G. Engh, N. Parks. "Structural Autogenous Bone Grafting of Tibial Defects in Primary Total Knee Arthroplasty."M. Swank, M.D., G. Engh, M.D., N. Parks, M.S. Adults with Spina Bifida: A Review of 71 Patients.”L. Dias, A. Hernandez, M. L. Swank. Pediatric Orthopaedic Society of North America, Toronto, Canada. May, 1987. Poster 34: Computer-Assisted Surgery Total Hip Replacement Planning and Outcome. M. L. Swank. Poster P-32: Reducing Cardiac Complications After Total Joint Replacement. M. L. Swank, M. Alkire. Poster P-31: The Use of Transverse Acetabular Ligament for Acetabular Cup Placement in Computer-Assisted Total Hip Replacement. M. L. Swank, M. Alkire, L. Korbee, J. Grote. Poster 24: Blood Conversation in Primary Total Knee Arthroplasty. M. L. Swank, V. Williams. Mid American Orthopaedic Association Meeting. San Antonio, Texas. April, 2006. Poster R-111: Imageless Navigation in Hip Resurfacing: The Impact of Surgical Volume on Computer-Assisted Placement. J. Romanowski, M. L. Swank. Poster: Comparison of Mechanical Axis Measurements: Intraarticular Navigation vs. Post Operative Standing Films. J. Smail, M. L. Swank. Poster: Use of Transverse Acetabular Ligament for Acetabular Cup Complement in Computer-Assisted Surgery. M. Alkire, M. L. Swank. Poster: Use of Transverse Acetabular Ligament for Acetabular Cup Complement in Computer-Assisted Total Hip Replacement. M. L. Swank, M. Alkire, L. Korbee, J. Grote. Poster: Reducing Post Operative Complications After Total Hip Joint Arthroplasty. M. L. Swank. Special Poster: Navigation in Hip Resurfacing-Report of Initial Results. M. L. Swank, L. Korbee. Can Transverse Acetabular Ligament be used for Optimal Cup Placement Using Imageless Navigation in Total Hip Arthroplasty? M. L. Swank, V. Perumal. 10th Annual Meeting of CAOS International. Paris, France. June 16-19, 2010. The Posterior Cruciate Ligament in Computer-Assisted Total Knee Arthroplasty: Retain or Release? M. Alkire, M. L. Swank. 9th Annual Meeting of CAOS International. Boston, Massachusetts. June 17-20, 2009. Navigation in Hip Resurfacing: Report of Initial Results. M. L. Swank, L. Korbee. Computer-Assisted Orthopaedic Surgery with Ligament Balancing Technique Using an Internal Tensionometer Lowers Manipulation Rate in Total Knee Replacement. M. L. Swank, L. Korbee. 2006. Poster 11-4: Clinical Validation of A Novel Spring Loaded Tensioning Device and Computer-Assisted Navigation. S. Bignozzi, J. L. Briard, M. Marcacci, M. L. Swank. Centre Medico-Chirurgical Du Cedre, France. ISTA. Kyoto, Japan. September 24 – October 2, 2005. Cincinnati Orthopaedic Research Institute, USA. 2004. “Titanium Surgical Mesh and Local Bone Graft Eliminates the Need for Iliac Crest Autograft or Allograft in Anterior Cervical Reconstructions.” North American Spine Society 2003 Annual Meeting. San Diego, California. October 22-26, 2003. “Early Experience With A CT Based Image Guided System for Total Knee Arthroplasty.” M. L. Swank. 2nd Annual Meeting CAOS International, Santa Fe, New Mexico. June, 2002. “Cervical Pedicle Screw Fixation in Multilevel Cervical Reconstructions: An Analysis of the Safety and Efficacy of 100 Consecutive Pedicle Screws Placed At C7 or T1.” M. L. Swank. 28th Annual Meeting of Cervical Spine Research Society, Charleston, South Carolina. November, 2000. 69th Annual Meeting AAOS, Dallas, Texas. February, 2002. “Prospective Evaluation of an Intra-operative Computer Enhanced System for Placement of Vertebral Body Screws into the Spine with the Aid of a Computer-Assisted Device.” M. L. Swank. The American Association of Neurological Surgeons 2000 Annual Meeting. San Francisco, California. April, 2000. “Prognostic Value of Hoffmann’s Sign as an Indicator of Cervical Spinal Stenosis in Patients with Chronic Low Back Pain.” M. L. Swank, C Willison, C Ritter. 15th Annual Meeting, Section on Disorders of the Spine and Peripheral Nerves, of the American Association of Neurological Surgeons and Congress of Neurological Surgeons. Lake Buena Vista, Florida. February, 1999. “Anterior Cervical Osteosynthesis with the Divergent ORION Fixation System: Early Results. “ G. Lowery, M. L. Swank, R. McDonough. SSAF Second Annual Advances in Techniques in Spinal Surgery. New Your, New York. December, 1994. NASS/JSRS “Spine across the Sea.” Maui, Hawaii. April, 1994. “Cervical Arthrodesis and Instrumentation: Multilevel Inter-body Fusion versus Strut Graft Reconstruction.” M. L. Swank, G. Lowery, R. McDonough. “Titanium Mesh in Cervical Spine Reconstructions: The North American Experience.” G. Lowery, M. L. Swank, R. McDonough. “Anterior Cervical Inter-body Fusion: Locked versus Non-Locked Plating Systems.” M. L. Swank, G. Lowery, R. McDonough. Southern Medical Association, Orlando, Florida. November, 1994. NASS/JSRS “Spine across the Sea.” Maui, Hawaii. April, 1944. “The Patient of the New Millennium”: Moderator, Host. April 26, 2007. Seminar: “Complex Total Knee Procedures.” St. John, US Virgin Islands. March 7-10, 2007. DePuy Central Surgeon Panel Meeting, Panel Member. Dallas, Texas. January 27, 2007. “Computer-Assisted Surgery, Surgical Professional Education Program, CI System of THR.” Westin Hotel, Cincinnati, Ohio. January 6, 2007. “Computer-Assisted Surgery: Pros and Cons.” American Association of Hip and Knee Surgeons. 16th Annual Fall Meeting, Gaylord Texan Resort, Dallas, Texas. November 3-5, 2006. Video-“Low Incidence of Post Operative Complications due to Reference Array Pin Placement in Image Free Computer-Assisted Total Knee Replacement.” 2006. Video-“Computer-Assisted Total Hip Replacement-Planning and Outcome.” Cincinnati Orthopaedic Research Institute. USA, 2004. Video-“Image Free BrainLab TKA-BrainLab.” Cincinnati Orthopaedic Institute, USA 2004. “CT based Image Guided Surgery vs. Conventional Intramedullary Instrumentation in Total Knee Arthroplasty.” 2003. “Early Experience with a CT based Image Guided System for Total Knee Arthroplasty.” 2002. Host for the Live Surgical Teleconference Program Entitled “Innovations in Cage Technique, Restoration of Lordosis and Endplate Preservation”. January 6, 2001. “Computer-Assisted Image Guided Systems for Spinal Surgery.” Live Surgical Presentation at Bethesda North Hospital. September 24-25, 1999. Participated as guest on local cable television show, Doctors’ Health Tips. “A Multi-disciplinary Approach to Painful Spinal Disorders.” February, 1995. Presentation entitled, “The Orthopaedic Fellowship Experience” at the Northwestern University Medical School Department of Orthopaedic Surgery 17th Annual Resident Alumni Thesis Day. May 5, 1995. Presentation Entitled, “A Clinical Perspective of Practice Parameters” to the Cincinnati Medical Group Management Association Seminar. May 18, 1995. Article on Scoliosis for the “Health Matters” column in The Cincinnati Post Newspaper. Committee Chairperson, Computer-Assisted Orthopaedic Surgery Fellowship Training Program. Memberships International Society of Computer Assisted Orthopaedic Surgery. 2003-2009. Program Committee Member, 3rd Annual Meeting, International Society of Computer-Assisted Orthopaedic Surgery, 2003. American Academy of Orthopaedic Surgery Special Interest Group on Medical Robotics and Computer-Assisted Surgery. 2004-2006. Independent Review for SPINE. 1993-2003. Health Alliance of Greater Cincinnati, Orthopaedic Service Line Member, 1999 - Present. Orthopaedic Consultant to Alliance Physician and Surgeons, 1997 - Present. Jewish Hospital Emergency Department Triage Committee, 1997 - Present. Health Alliance of Greater Cincinnati TVC Joint Replacement Program Task Force, 1998. Health Alliance of Greater Cincinnati, Orthopaedic Service Line Strategic Planning Committee, 1997. Jewish Hospital Executive Committee, 1996 - 1999. Health Improvement Collaborative of Greater Cincinnati, Low Back Pain Task Force, 1996 –1998. Academy of Medicine of Cincinnati. Low Back Pain Practice Guidelines Subcommittee, 1995. 27th Annual Meeting, Mid-America Orthopaedic Association. Amelia Island Plantation, Amelia Island, Florida. April 22-26, 2009. Hip & Knee Symposium, Anderson Orthopaedic Research Institute. “Imageless Navigation in Hip Resurfacing: Does it Decrease Complications During the Surgeon Learning Curve?” M. L. Swank. Austin, Texas. November 9-10, 2007. ISTA Paper B 4-5 – “Comparison of Mechanical Axis Measurements: Intraarticular Navigation vs. Postoperative Standing Films.” J. Smail, M. L. Swank. Paris, France. October 4-6, 2007. Seminar of Complex Total Knee Procedures. St. John, US Virgin Islands. March 7-10, 2007. ISTA: “CAS Ligament Balance in RP Knees Using an Internal Tensionometer.” M. L. Swank. Roosevelt Hotel, New York, New York. October 6-9, 2006. ISTA: “Clinical Validation of a Spring Loaded Tension Device and Computer Assisted Navigation”, Poster 11-4. M. L. Swank. Kyoto, Japan. September 24-October 2, 2005. 8th Annual CAOS Meeting, Program Committee. Hong Kong, Japan. June 4-7, 2008. Hip Surgery in the Young Adult. British Columbia, Canada. January 17-21, 2008. Scoliosis Research Society. Edinburgh, Scotland. September 5-8, 2007. 7th Annual CAOS Meeting, Program Committee. Heidelberg, Germany. June 23-24, 2007. Controversies in Knee Arthroplasty. Lenox Hill Hospital, New York, New York. June 8, 2007. American Academy of Orthopaedic Surgeons. San Diego, California. February 14-18, 2007. Cervical Spine Research Society. The Breakers, Palm Beach, Florida. November 30-December 2, 2006. 6th Annual CAOS Meeting, Program Committee. Montreal, Canada. June 21-24, 2006. North American Hip & Knee Symposium, Copper Mountain, Colorado. February 2-4, 2006. 4TH Annual CAOS Meeting, Technical Planning Committee. Chicago, Illinois. June 16-19, 2004. 3rd Annual CAOS Meeting, Program Committee. Marbella, Spain. June 18-21, 2003. Coronal Radiographic Alignment Comparison of Custom Cutting Guides vs. Computer-Assisted Surgery Techniques for the Performance of Total Knee Arthroplasty. M. Lembach, M. L. Swank, D. J. Frank. May, 2012. Instrumentation and Surgical Technique Considerations in Contemporary Total Knee Arthroplasty at the Orthopaedic Learning center. March 14, 2008. Demonstration: Optimized Sub Vastus in Total Knee Arthroplasty. Talk: Manual Approaches to Gap Balancing. Moderator: Balanced Resection, Total Knee Arthroplasty. Panel Discussion Participant and a Proctor for Hands-on Lab. 75th Annual Meeting of the American Academy of Orthopaedic Surgeons. March 5-9, 2008. Instructional Course Lecture A263: Computer-Assisted Orthopaedic Reconstruction and Minimally Invasive Computer-Assisted Total Knee Arthroplasty. Paper 097: Patient and Surgical Factors Associated with Infection after Total Knee Arthroplasty. W. Barrett, D. Goetz, C. Boese, M. L. Swank, J. Mason, J. Murphy, J. Gant. Medical Education Multimedia ME CO7: Imageless Navigation in Hip Resurfacing Arthroplasty, Video Surgical Technique. M. L. Swank. A. Hallock. 3RD Annual CAOS UK. Glasgow, England. February 7-9, 2008. Total Knee Replacement Part 2, Moderator. Talk: Cost Effectiveness of Computer-Assisted Surgery in the Medicare Population. Talk: Computer-Assisted Surgery in Crisis: Why Has the Innovation Stopped? First Annual North American Comprehensive Course on Total Hip Resurfacing Arthroplasty. Annapolis, Maryland. November 9-10, 2007. Minimally Invasive Surgery in Hip Resurfacing. Accuracy of component position using image-free navigation. 7th CAOS International, Heidelberg, Germany. June 20-23, 2007. Special Poster: Navigation in Hip Resurfacing – Report of Initial Results. M. L. Swank, L. Korbee. Advances in Total Joint Replacement, Indications, Perils and Detailed Surgical Techniques. The Greenbriar, Sulpher Springs, West Virginia. May 10-13, 2007. Panel Discussion for Unicompartmental Replacement and Gap Balancing. The Patient of the New Millennium, Local Moderator and Host. April 26, 2007. Transforming Orthopaedics –Improving Outcome Through Technology. Canyon Resorts, Park City, Utah. March 14-18, 2007. Computer-Assisted Surgery in Total Hip Arthroplasty. ART-TGS UNI Cadaver Course. Mt. Vernon, Virginia. February 16, 2007. DePuy ASR Training, Participant. 7-10:30 a.m. San Diego, California. February 13, 2007. DePuy Central Surgeon Panel Meeting, Panel Member. January 27, 2007. Dallas, Texas. Computer-Assisted Surgery – Surgical Professional Education Program, CI™ System of THR. Westin Hotel, Cincinnati, Ohio. January 6, 2007. Guest Faculty Presentation, Computer-Assisted Surgery in Total Knee Arthroplasty and a Question and Answer Session. Contemporary Techniques in Revision Hip and Knee Arthroplasty. Chicago, Illinois. July 28-29, 2006. What About the CASS Hip: Does it help Me Avoid Complications? Case Presentations: What We Use and How We Do It in Total Hip Arthroplasty. Minimally Invasive Total Knee Arthroplasty – Surgical Instrumentation. Moderator for Computer-Assisted Total Knee Arthroplasty Section and a Panel Member for Ask the Experts Panel, Case Presentations of Total Joints. 6th CAOS International. Montreal, Canada. June 21-24, 2006. Paper- Low Incidence of Postoperative Complications Due to Reference Array Pin Placement and Image-free Computer-Assisted Surgery, Total Knee Replacement. Posterior, Computer-Assisted Orthopaedic Surgery, with Ligament Balancing Technique Using an Internal Tensionometer Lowers Manipulation Rate in Total Knee Arthroplasty. M. L. Swank, L. Korbee. This paper won the Best Poster Award at this meeting). 24th Mid American Orthopaedic Society. San Antonio, Texas. April 19-23, 2006. Unicondylar Arthroplasty Trends and Outcomes. Talk on Navigation and Unicompartmental Replacement. Ion Concentrations From Hip Implants: Journal of Surgical Orthopaedic Advances 15(2): 113-114. 2006. 17th ISTA. Rome, Italy. September 23-25, 2004. 3rd CAOS International. Marbella, Spain. June 18-21, 2003. CT Based Image Guided vs. Conventional Intramedullary Instrumentation in Total Knee Arthroplasty. 3rd Annual International Orthopaedic Congress: Modern Trends in Orthopaedic and Traumatology. Znojmao, Czech Republic. March 29-30, 2007. Talk: Pin less Array Fixation in Determining Leg Length in Imageless Navigation. M. L. Swank, V. Perumal. Imageless Navigation in Hip Resurfacing, Avoiding Component Malposition during the Surgeon Learning Curve. Comparison of Mechanical Axis Measurements: Intra-operative Navigation vs. Post Operative Standing Films. J. Smail, M. L. Swank, M. Alkire, L. Korbee. Ligament Balancing in Computer-Assisted Total Knee Arthroplasty: Improved Clinical Results with a Spring Loaded Tensionometer. M. L. Swank, J. Romanowski, L. Korbee, S. Bignozzi. Paper A, 7-4. Navigation in Hip Resurfacing: Report of Initial Results. M. L. Swank, L. Korbee. Dermabond Efficacy in Computer-Assisted Total Joint Replacement Wounds. M. L. Swank, A. Miller, L. Korbee. Accuracy of Component Placement Using Computer-Assisted Surgery and the TAL. Short-term Results of Custom Trials of Acetabular Component for Massive Peri-acetabular Bone Lesions in Revision Hip Arthroplasty. M. Wind, J. Sorger, M. L. Swank.